I will answer this question, but before I do I would like to discuss some of the common signs and symptoms associated with a pinched nerve and go over the anatomy of the area and the best non-surgical treatments to treat pinched nerves. Pinched nerves problem most commonly occurs either in the Lumbar spine (low back) or cervical spine (neck) and can cause pain down the arm or down into the leg. 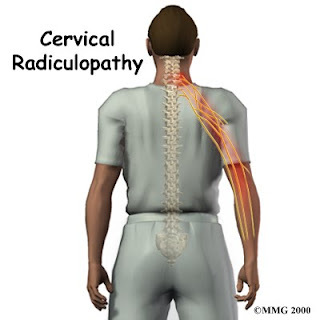 This term is called a Radiculopathy or some other common terms are: Sciatica, Radicular pain, Radiculopathic pain and Root pain. All of these terms are synonymous and basically it means that that the patient’s pain is coming from the spinal root level as opposed to being referred from a joint or others spinal structures. So when a patients present with shooting leg pain into their buttocks or a throbbing burning pain in the back of the thigh that has gradually gotten worse and has been associated with back pain their concern-is it a pinched nerve? Most of the time when there is a shooting type of pain it is due to a nerve related issue, for example a classic presentation is a young women that complains of pain into her right arm that extends into her thumb and second finger and most of the time it started with neck pain and a lack of mobility in her neck. Once she is cleared of any medical problems it usually is due to an irritated or pinched nerve. Sciatica is a term which refers to a burning, stinging, and or numbing pain that is felt in the buttocks, thigh, leg and or foot and patient may or may not have low back pain. With conservative treatment like Cox cervical distraction and Chiropractic care patients see results shortly. But if after a week or two of conservative care and a patient is making slow improvement the only way to truly know if the nerve is “pinched” that would be by ordering diagnostic tests like NCV nerve conduction velocities or EMG Electro Myography or a MRI that shows a disc putting pressure on a nerve root. Very often the term pinched nerve is used without any documentation or proper diagnosis, all too often I have seen patients that have been labeled as having a herniated or bulging disc and a pinched nerve and the only thing that they had was a X-ray. 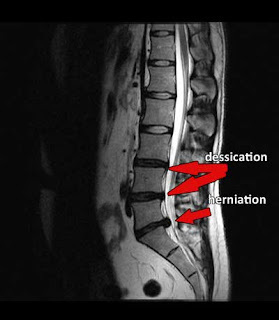 If the nerve is pinched by a herniated or bulging disc the most effective non surgical solution is spinal decompression. In our NYC Back Pain Clinic we integrate Non-surgical spinal decompression with Physical therapies for the most comprehensive solution to treating a pinched nerve or herniated disc in NYC. When someone suffers with a pinched nerve due to a bulging or herniated disc, the pain can progress and interfere with daily activities like making putting on your socks in the morning painful and even impossible. So to sum up the answer to the question is it a pinched nerve? The answer is probably, but we will not know 100% until we have some solid form of diagnosis be it a MRI or Nerve test to either confirm or rule out such a diagnosis. Pain management on site, Digital xrays,Chiropractic care, Active release technique, DRX 9000 spinal decompression,Spine Force 3D Rehab, Acupuncture, Medical massage, Graston technique, Cold laser therapy are just some of the modalities that we offer all at our Convenient Manhattan location. Labels: back pain back pain treatment NYC bulging disc herniated disc nyc MRI findings NYC Chiropractor pinched nerves sciatica new york city shooting pain down the leg. Wow great description in this blog that how chiropractor helps in Pain. A pinched nerve can occur at several sites in your body. A herniated disk in your lower spine, for example, may put pressure on a nerve root, causing pain that radiates down the back of your leg (sciatica).